The dark spots in this enhanced-color infrared image are the recent impact craters that occurred in the Tharsis region between 2008 and 2014. 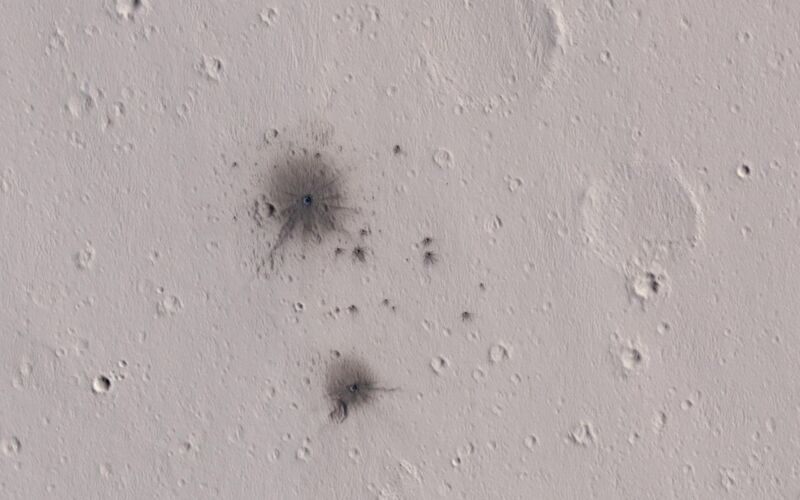 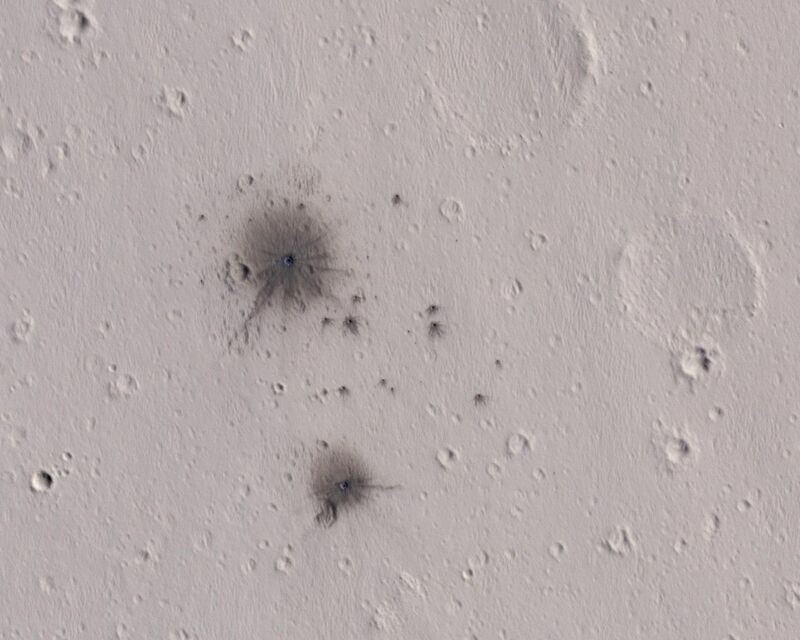 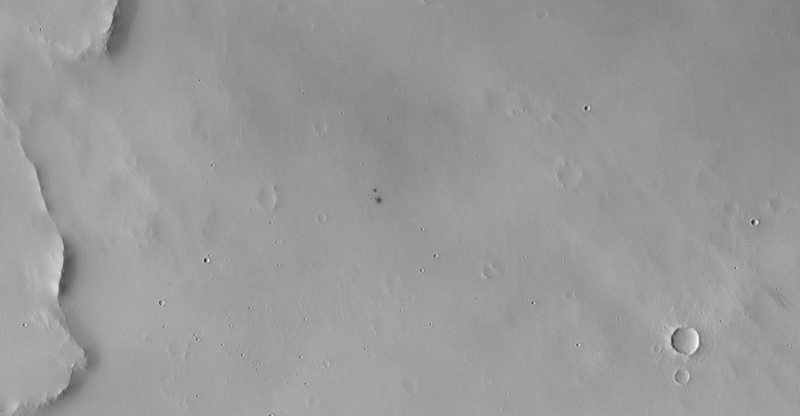 These impact craters were first discovered by the Mars Context Camera (or CTX, also onboard the Mars Reconnaissance Orbiter) as a cluster of dark spots. The meteoroid that formed these craters must have broken up upon atmospheric entry and fragmented into two larger masses along with several smaller fragments, spawning at least twenty or so smaller impact craters. 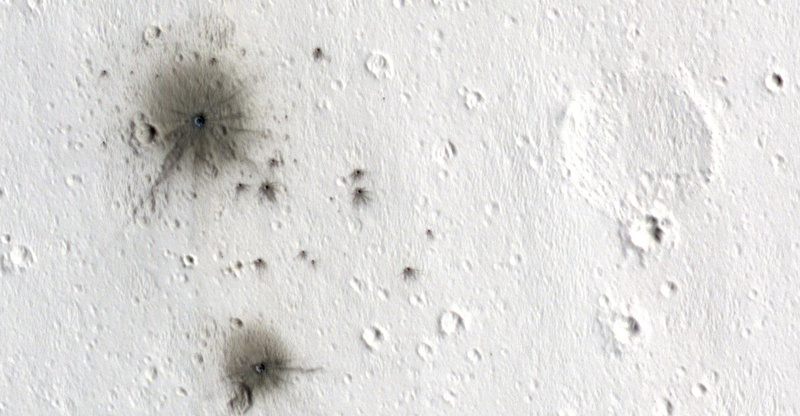 The dark halos around the resulting impact craters are a combination of the light-toned dust being cleared from the impact event and the deposition of the underlying dark toned materials as crater ejecta. 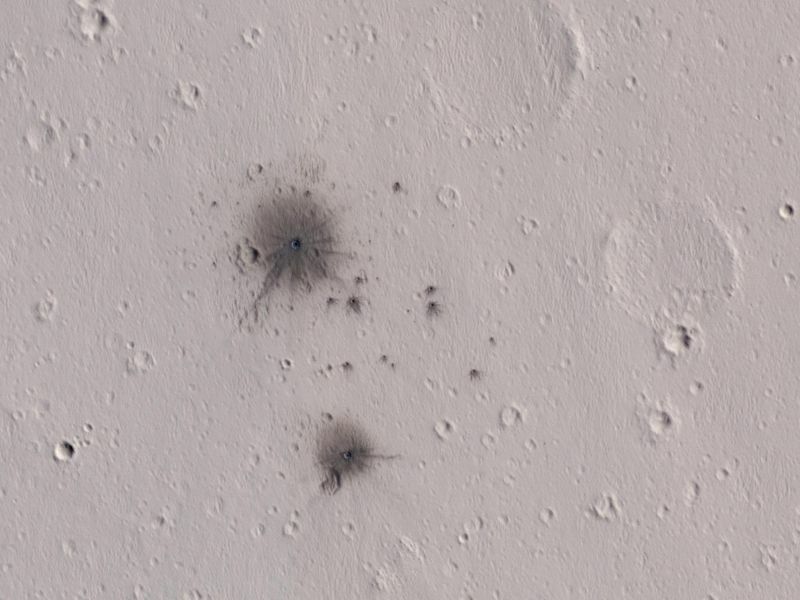 The distribution and the pattern of the rayed ejecta suggests that the meteoroid most-likely struck from the south (which is up in the cutout). 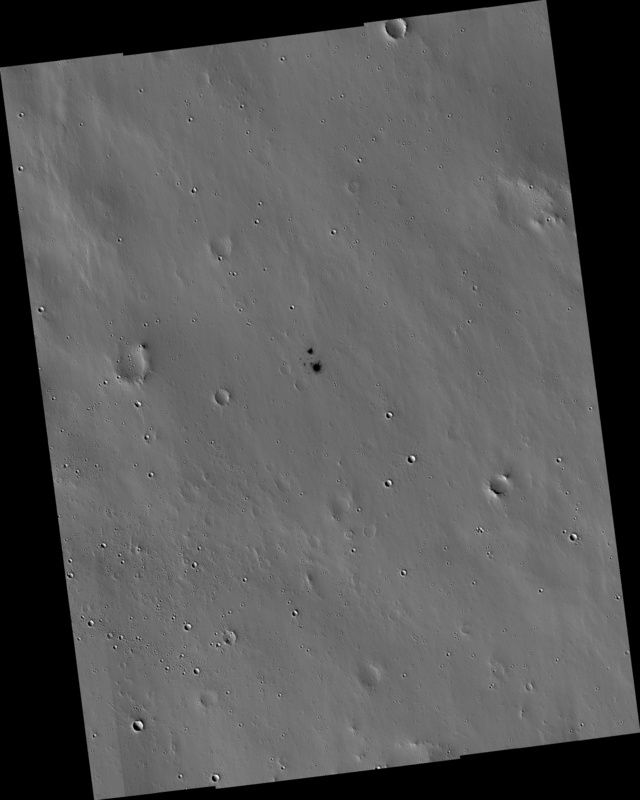 HiRISE frequently monitors new impact craters similar to this one; however, this is the first image of this particular impact taken by HiRISE, thanks to a request by the CTX team. 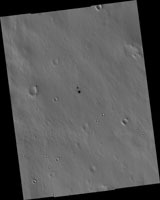 Subsequent images will likely follow to monitor if there are any changes to the site from wind-blown activity or dust-deposition over time.